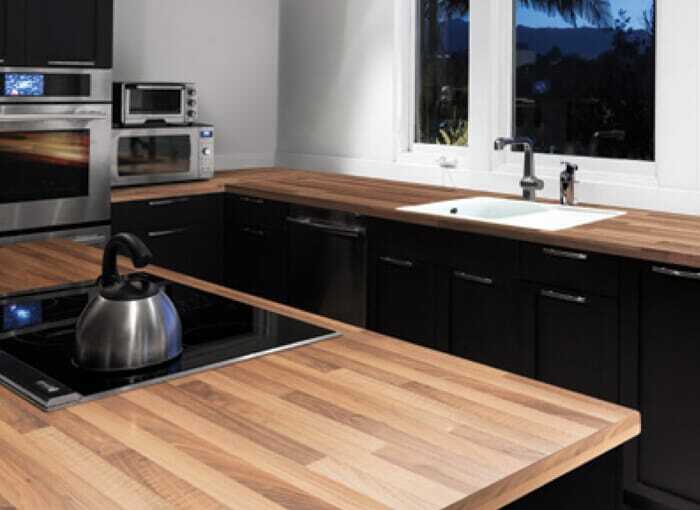 At HC Supplies, we’re leading walnut worktops UK suppliers. Walnut worktops have never been more popular as a kitchen worktop. At HC Supplies, we understand this and as a result we have a superb range of walnut worktops. HC Supplies offers a variety of timber worktops. Walnut kitchen worktop are both strong and elegant, marrying intense rustic colour variation with a curved grain which gives it a stunning finish. Choosing a beautiful walnut kitchen worktop for your kitchen design could not be easier with our selection. Walnut worktops have become popular because of their strength, grain and colour. It's a beautiful kitchen worktop to behold. At HC Supplies, we have a wide range of colour variations with a beautiful mixtures of varying browns. The great thing about a walnut kitchen worktop is that it's colour will only become deeper and richer over time. We work closely with our walnut worktops UK suppliers and as a result, we only stock responsibly source walnut worktops for your piece of mind. Why not check out out entire solid wood kitchen worktops range? you'll find a beautiful selection of wooden worktops from which to choose including solid oak worktops, beech kitchen worktops, bamboo kitchen worktops and so much more. We select the finest grade A timber that’s sustainably sourced and do our best to minimise any waste. Much like our entire worktops for kitchens range, a walnut kitchen worktop is built to stand up to the busiest of households. Our walnut worktops range suits both traditional and contemporary designs alike which makes the solid walnut worktop an incredibly versatile choice. Using 40mm wide staves, our walnut block worktops are made using high-pressured glue which is then finger-jointed for ultimate robustness. A walnut kitchen worktop will really make your kitchen feel like the hub of your home. Walnut worktops add a warm, inviting feel to any kitchen design and compliment a wide range of kitchen themes. Walnut worktops do require more maintenance than some of the other kitchen worktop materials we stock but we really think that the walnut worktops is worth every minute spent on it! We also have a beautiful selection of walnut laminate worktops if the maintenance of a solid wood worktop is not up your street! 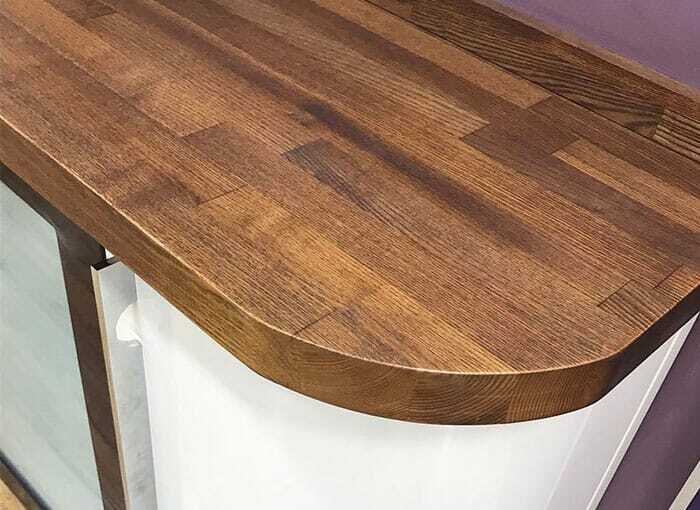 At HC Supplies we believe we offer the finest solid walnut worktops in the UK at the best prices around and offer a no fuss guarantee for your 100% satisfaction. 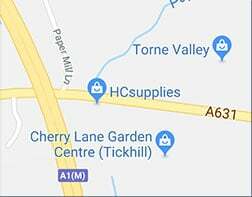 You’ve probably already seen for yourself our great walnut block worktops prices but for a closer look at the quality, why not come and visit our showroom in Doncaster, North Yorkshire? You’ll find a comprehensive sample range for you to browse through. We even stock quality walnut breakfast bars to compliment your worktop. We have a team of friendly staff who will be more than pleased to welcome you and answer any questions you may have. Our entire walnut kitchen worktops range is usually available for delivery within just 2-7 working days!